For every B.Tech, BCA, MCA Candidate looking for a good career start a very important aspect is to decide the right direction of Career in IT sector. While deciding this basic foundation is Live project Training Component which plays an important role. For a beginner to start a career, it is important to understand the industry standards, working style and implementation knowledge with deeper view. Keeping this in mind every academic University offering profession IT degree make Live Project Training as a mandatory component. Practical Development, Professional Skills and Employment Base are some effective Outcomes of Live Project Based Training which makes it essential. This kind of Trainings not only imparts industry Knowledge but also provide placement Opportunities to the candidates in their expertise of Learning. The University component of Such Trainings is divided under broad names like 6 week Training , 6 Weeks Industry Training, Summer Internship, 6 weeks Summer internship and many more. The duration of the training varies from 4 Weeks to 6 weeks depending on university standards. CPD Technologies invites the fresh BCA, BE, B.Tech, MCA, MBA(System) graduates to be the part of its Industrial training program in Rohini Delhi Location. This program is especially designed for the fresh graduates to open the placement gates to IT Sector. During this program we allows trainee to work on the LIVE INDUSTRIAL PROJECT,an easiest way to generate knowledge and Employability. 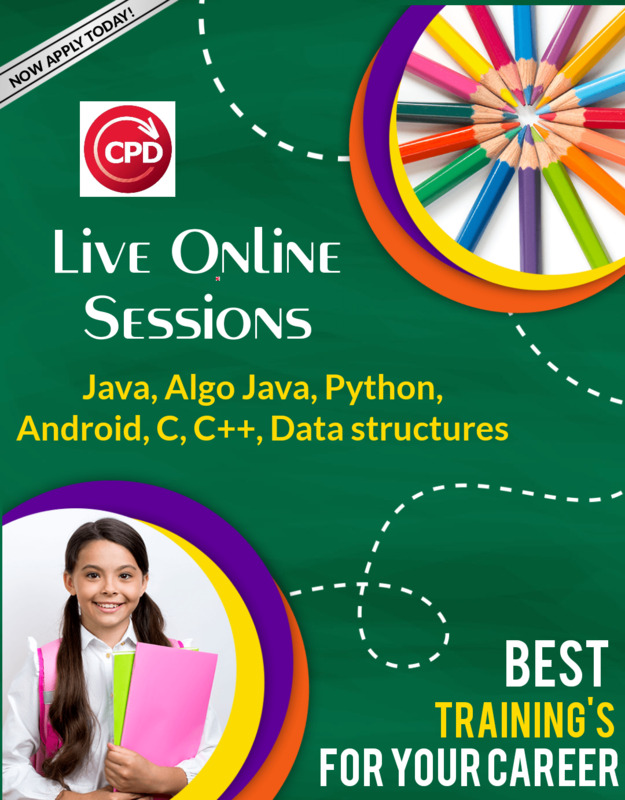 This Training is stream line to provide hand on experience on the Technologies like .Net, Java, PHP, C, C++, MVC, Android, from the software experts in the industry environment, All measures is been taken to enrich this program with live practical scenarios and industry experiences. CPD TECHNOLOGIES, Delhi ensures the high-end technology Training and outcome IT professionals to be of international standards. CPD Technologies, Delhi is an IT training and development organization working as a CDC (career Development Center) for our own software Company 7techies Software support to generate right talent with appropriate skills. It grooms engineering students to the latest technology trends and industry requirements. It helps them in becoming employable by gaining industry specific skills in a specific technology.